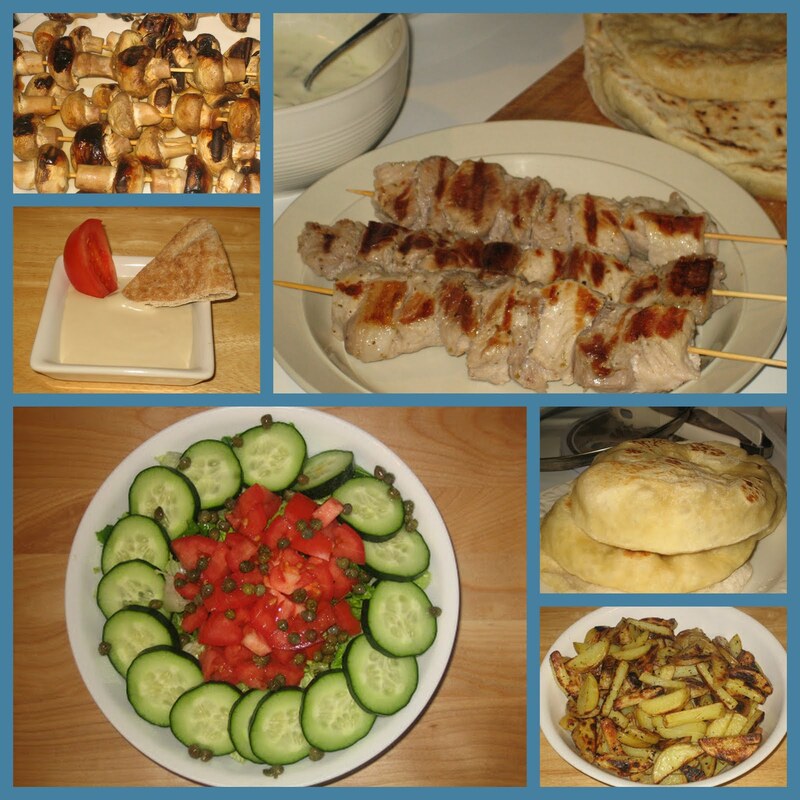 Greek Souvlaki - THE Greek Feasting Dish of summer - or perhaps of any season. Souvlaki is traditionally made over charcoals outdoors, and requires advance marinating and threading onto skewers - so it can be a wee bit of extra work. I've simplified this just about as much as anyone can simplify it! For Vegetarians, Halloumi Cheese, Sliced 1/4" thick (1 cm) and grilled is a great option.